Staff of Brian Bell Home Centres in Mt Hagen have donated more than eighty (80) bags of blood to the Blood Bank at Mt Hagen Hospital. The staff who volunteered to donate their blood had done so at a time when the hospital had gone through its last stocks and was about to appeal to the public for more. 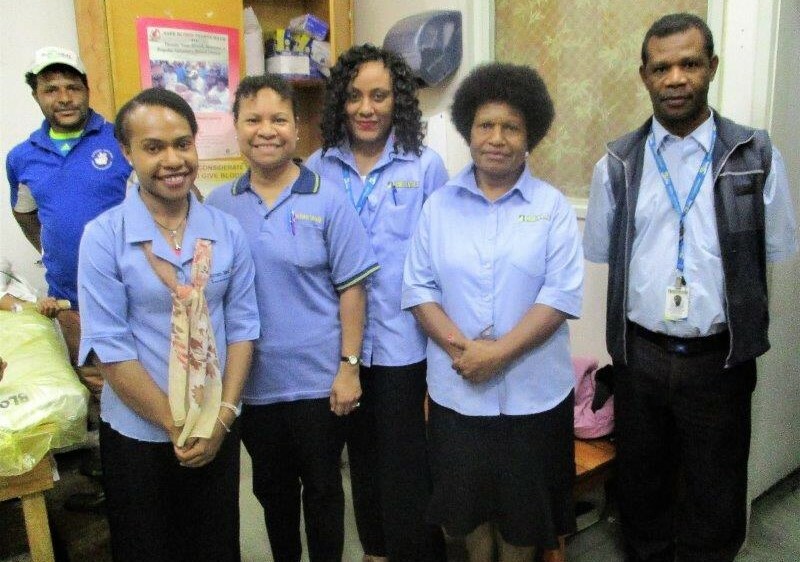 The Officer-In-Charge of the hospital’s Pathology Department, Dr Zure Kombati said he was very happy for the Brian Bell staff who had used their own initiative to give blood during a time when the Hospital had needed it most. He said such a kind gesture would go a long way in saving the lives of the many people who lost a lot of blood as a result of vehicle accidents and other violence. Brian Bell staff had invited the hospital’s blood bank team to their workplace on 19th June 2018 and had donated a total of 53 bags of blood. The following day, those who were busy serving customers visited the hospital and donated another 26 bags. 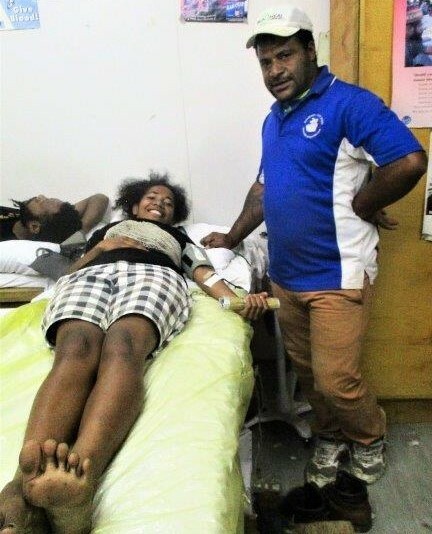 This donation was in addition to another 60 bags which the blood bank team had collected from them in April this year, making Brian Bell Home Centres the biggest donor of blood by any corporate citizen in Mt Hagen. As well as donating blood, the company had also donated a 20-litre urn to the Blood Bank to use for making tea and coffee for those who donated blood at the hospital. Dr Zure said he was humbled by the kind gesture of the Brian Bell staff and management and thanked them for recognising the need to donate blood to save lives and urged other corporate citizens to do the same. Staff of Brian Bell awaiting their turn to donate blood. A Brian Bell employee is pictured giving blood.